Dairy Protein Blend (Whey Protein Concentrate, Milk Protein Isolate, Whey Protein Isolate, Micellar Casein), Maltodextrin, Peanut Flour, Natural & Artificial Flavors, Gum Blend (Cellulose, Xanthan, Carrageenan), Sunflower Oil, Sodium Caseinate, Tricalcium Phosphate, Mono and Diglycerides, Natural Tocopherols, Caramel Colour Powder, Inulin, Conjugated linoleic Acid, Salt, Acesulfame Potassium, Sucralose. Contains ingredients from milk, peanuts and soy. Made in a facility that also processes egg, tree nuts, fish/crustaceans/shellfish oils, and wheat products. Dairy Protein Blend (Whey Protein Concentrate, Milk Protein Isolate, Whey Protein Isolate, Micellar Casein), Maltodextrin, Cocoa Powder, Natural and ArticialFlavors, Inulin, Conjugated Linoleic Acid, Gum Blend (Cellulose, Xanthan, Carrageenan), Sunower Oil, Sodium Caseinate, Tricalcium Phosphate, Mono and Diglycerides, Natural Tocopherols, Salt, Sucralose, Acesulfame Potassium. Contains ingredients from milk and soy. Made in a facility that also processes egg, tree nuts, peanuts, fish/crustaceans/shellfish oils, and wheat products. 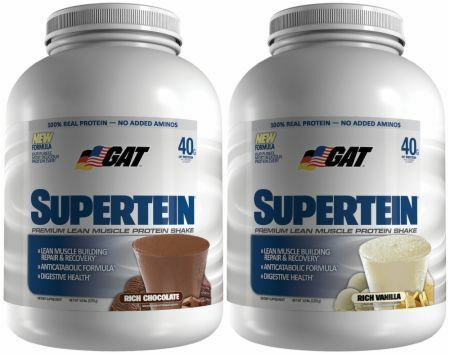 Daily Protein Blend (Whey Protein Concentrate, Milk Protein Isolate, Whey Protein Isolate, Micellar Casein), Maltodextrin, Natural and Artificial Flavors, Sodium Citrate, Inulin, Conjugated Linoleic Acid, L-Glutamine, Gum Blend (Cellulose, Xanthan, Carrageenan), Sunflower Oil, Sodium Caseinate, Tricalcium Phosphate, Mono and Diglycerides, Natural Tocopherol, Salt, Sucralose, Acesulfame Potassium. Dairy Protein Blend (Whey Protein Concentrate, Milk Protein Isolate, Whey Protein Isolate, Micellar Casein), Maltodextrin, Peanut Flour, Natural And Artificial Flavors, Gum Blend (Cellulose Gum, Xanthan Gum, Carrageenan), Sunflower Oil, Sodium Caseinate, Tricalcium Phosphate, Mono And Diglycerides, Natural Tocopherols, Caramel Colour Powder, Inulin, Conjugated Linoleic Acid, Salt, Acesulfame Potassium, Sucralose. Use 1-3 servings daily in conjunction with a healthy diet and resistance exercise program. Mix first serving with 6-8 oz (200-250 ml) of cold water or milk in a shaker bottle or blender. Add 4 oz (118 ml) of water for each additional serving used. If desired, add ice cubes to increase milkshake thickness. Do not make this product your sole source of calories. Store at 59-86° F (15-30° C). Protect from heat, light, and moisture. What makes Supertein so popular with everyone from beginners to professional bodybuilders and fitness stars? Supertein makes dieting easier and more enjoyable. Its precision blend of "best of breed" ingredients creates a smooth and satisfying taste and texture that you would never expect from a protein supplement. These same ingredients also contribute to Supertein's incredible nutritional value. The Smoothest, Most Satisfying Protein!